When Shawn was born, doctors discovered that one of his intestines had ruptured… he immediately underwent surgery. Shawn has cystic fibrosis, a genetic disorder that affects mostly the lungs, but also the pancreas, liver, kidneys and intestine. He’s undergone 10 operations for various ailments. Shawn currently receives a hormone shot to help with his growth, daily breathing treatments, and takes over fourteen types of medication twice daily. Shawn shared that he loves basketball – especially watching his favorite team the Oklahoma City Thunder. Kids Wish Network was planning a wish for Shawn to attend an OKC Thunder game, however Shawn was having complications with his health, and wasn’t able to travel. 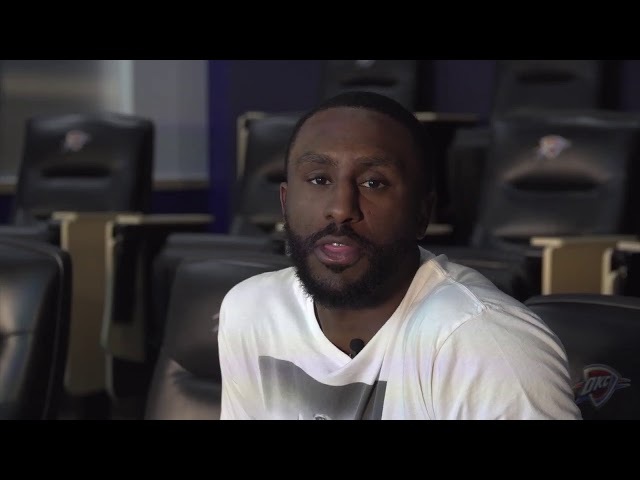 He was going through a very difficult time, so Kids Wish Network arranged for OKC Thunder player Patrick Patterson to record a personalized video message to encourage and inspire Shawn to get well. Along with the video, Patrick kindly sent him a signed jersey. Kids Wish Network also gave Shawn a generous gift card… he plans on using it to experience an OKC Thunder game with his family when he’s well enough to travel. Kids Wish Network would like to thank the Oklahoma City Thunder and Patrick Patterson for making Shawn’s wish extra special.